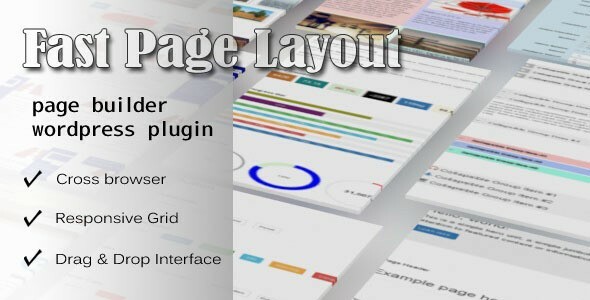 Drag & drop page builder WordPress plugins are designed to make it easy for you to create pages on your WordPress site. With this type of WP plugins, you’ll be able to develop WordPress sites fast and easy. Are you looking for the best drag & drop page builder WordPress plugins 2018? We are here to help you make the best possible choice! In this blog, you’ll be able to find some of the best drag & drop page builder WordPress plugins to use in 2018. Blox Page Builder for WordPress is one of the best drag & drop page builder WordPress plugins. The WordPress plugin comes with a drag & drop interface, responsive layout, over 100-page templates and over 700 add-ons. Another important thing that you need to be aware of is that Blox Page Builder for WordPress is a fully customizable WP plugin. With this WP plugin, you’ll undoubtedly find it easy to build any type of a web page for your site without coding experience. It’s pretty easy to create beautiful and responsive web pages on a WordPress site with such a wonderful drag & drop page builder WordPress plugins as LoftBuilder Pro. The WordPress plugins features include drag & drop interface, live preview, frontend look, 12 predefined sections, 18 types of content, parallax for page header and section, custom background and overlays and more. The plugin makes it possible for you to edit the page directly. However, the most important thing is that you’ll be able to make changes to your WordPress site without coding. It will not take you too much time to develop a fully responsive WordPress site with WP Logo Showcase plugin. The WordPress plugin comes with 3 different types of layouts (grid, slider as well as filtering), unlimited shortcode generator, the custom link for each image, custom logo re-sizing, and many other great features. If you develop your WordPress site with WP Logo Showcase plugin, you can be sure that its web pages will look great on mobile and desktop devices. Do you need a drag & drop builder WordPress plugins to create pages on a WooCommerce site? 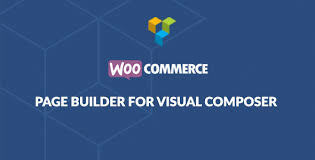 If so, we recommend you to take a closer look at the WooCommerce page builder. The plugin is likely to impress you with its fantastic features. WooCommerce page builder comes with single product page builder, category page builder, cart page builder, checkout page builder, my account page builder, my account page before login builder and many other amazing features. It’s also important to point out that WooCommerce page builder is known for being an easy-to-install and easy-to-configure WP plugin. WooComposer is another good page builder for WooCommerce. With this type of WordPress plugins, you’ll be able to develop a fully customizable e-commerce store for your business easily and quickly. The WP plugin is designed to make it easy for you to build different types of WooCommerce layouts, product pages, and check-out pages. You’ll never find it hard to build a site with WooComposer. Actually, you don’t need to have any coding experience to create pages on your e-commerce store. All that you need to do is to make use of the plugin’s features. You can also take advantage of Frontend Builder to create pages on your WordPress site without coding. The WP plugin’s key features include live page editing option and more than 40 shortcodes, drag & drop items on the web page as well as the professional and user-friendly interface. Plus, the WP plugin allows you to save and load page templates. With Frontend Builder you’ll find it easy to create a fully responsive and SEO optimized sites.